This month it's a Birchbox X Rifle Paper Co collaboration. The packaging of this box is honestly beautiful and the floral remind me of the summer months to come. I received 5 items in this box. The number one item that has got me really excited is the Benefit Cosmetics Dew The Hoola, I have seen this all over Instagram and it's a great little sample just to test out. It is the Hoola bronzer but in liquid form for your face and neck. It blends beautifully into my skin, is a temporary tint/bronze to the skin and there is a light scent. 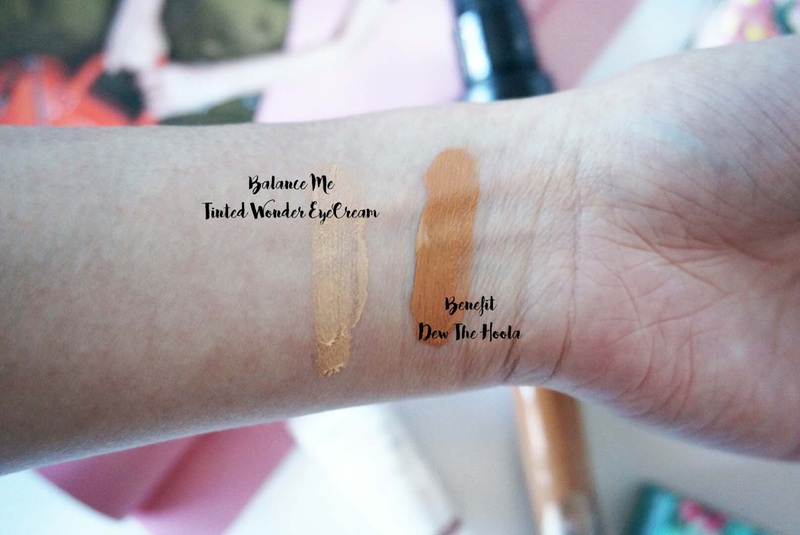 I received the Balance Me Tinted Wonder Eye Cream - which helps brighten and conceal dark circles. It has a light salmon colour, which should counteract dark circles. I've never been a fan of Balance Me because of the scent. This has a strong scent too - I'm not sure if I'm going to get along with this. An item that I have received before is the Cynthia Rowley Eyeliner. The last one is is still in my draw. I stick to my trusty Maxfactor Gel Liner so I shall pass this onto someone else. For hair I received the De-tangling Leave-In Conditioner by Parlor, I quite liked the salt spray that I received a few months ago. This would be good for my damaged and coloured hair that needs constant care. And lastly, while I'm typing this up - my little brother is applying this to his feet. it is the Kueshi Foot Care Cream. He says is quite watery and feels soft and smooth as soon as he applied it. This is good for restoring your feet texture. That is all in my BirchBox this month. What have you received in yours? I wish I still had my birchbox! This box is adorable haha. I also have really been wanting to try out the new hoola! You should do a review on how it works for you. Great post, and birchbox is awesome! 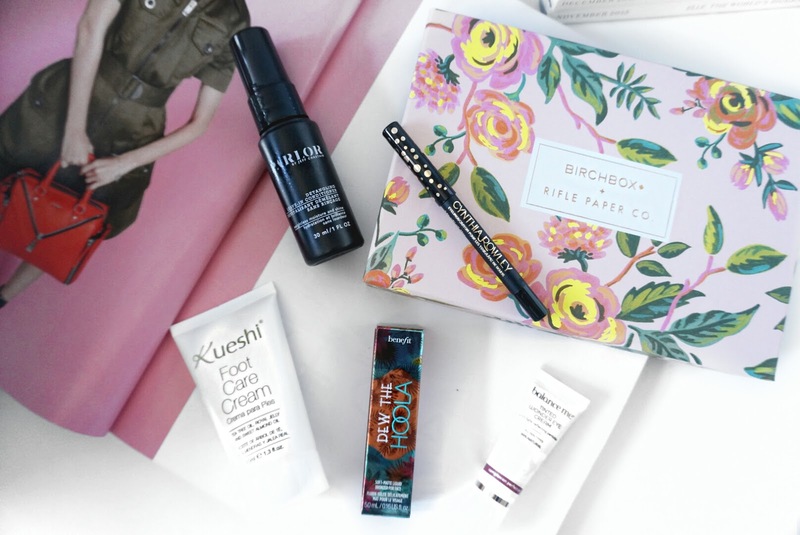 Great Birchbox, I'd be loving the Benefit Dew the Hoola as well. I've heard a lot about this new Benefit range but not sure if I'm ready to take the plunge as I know how expensive Benefit products can be but this is a good way to test out miniatures of products before you splurge on full sizes.